By international treaty, the federal government is responsible for regulating private U.S. commercial activity in space. But while specific agencies oversee launches, satellite operations and the collection of data through remote sensing from Earth's orbit, it is unclear who has jurisdiction over other endeavors. "What we're starting to see now is a lot of companies coming up with new ideas … moon bases, asteroid mining, lots of exciting ideas," George Nield, associate administrator for commercial space transportation at the Federal Aviation Administration, said Tuesday. "But the question then becomes: Who in government is responsible to authorize and continuously supervise those kind of activities?" 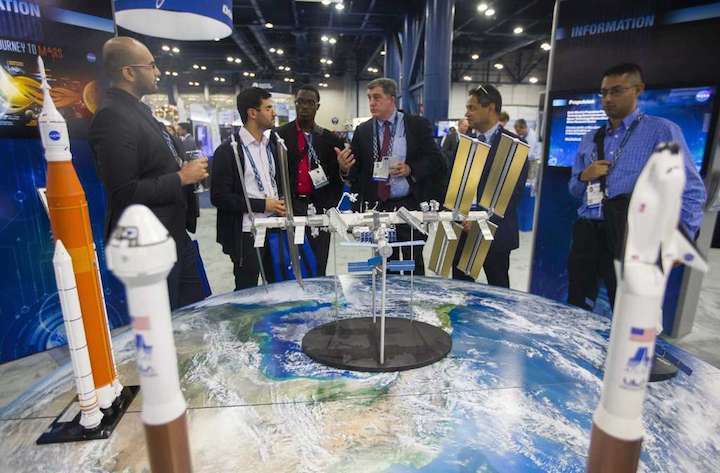 In a panel discussion during the third annual Space Commerce Conference and Exposition, Nield said the FAA has volunteered to regulate these new endeavors but has not yet been given authority. He said he worries a U.S. failure to clarify its process could encourage domestic innovators in the burgeoning private space sector to move to countries with less regulatory uncertainty. "We want to be able to say 'Yes' to these companies rather than, 'Gee, I'm sorry. I don't know who is supposed to look at that, but we're not able to help you,' " Nield said. 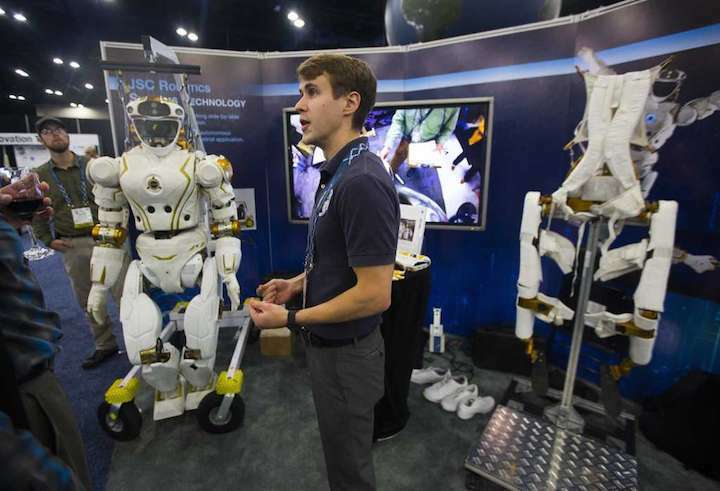 The SpaceCom event highlights the intersecting technologies of the aerospace, energy, medical, maritime, advanced manufacturing and agribusiness sectors. It's expected to draw more than 2,000 to the George R. Brown Convention Center downtown though Thursday. Attendance should be slightly higher than last year, which pleased SpaceCom's executive director, James Causey, considering the impact of recent hurricanes on two large space markets: Texas and Florida. He added that sponsorship dollars are up significantly, and this year's event has 118 exhibiting or sponsoring companies. 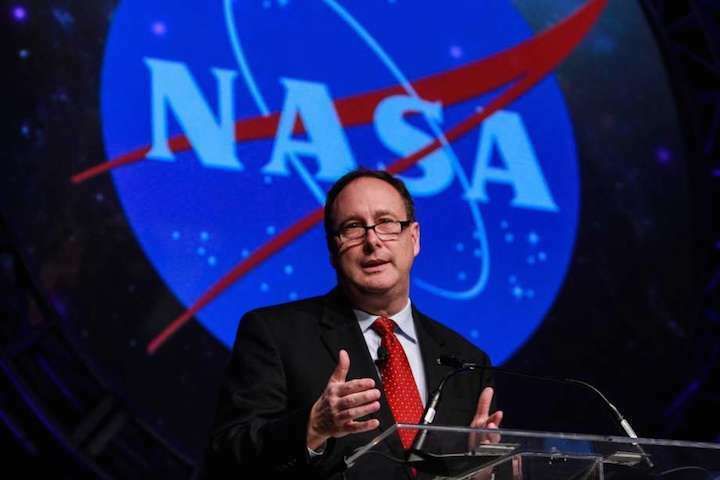 NASA's acting administrator, Robert M. Lightfoot Jr., praised the evolution in commercial space. "It's kind of a watershed time as our commercial partners and commercial space in general come of age," he said. Lightfoot also praised the commercial sector for launching rockets on U.S. soil and for its prolific use of cube satellites. He also highlighted its partnership with NASA to one day get crews to the International Space Station through the Commercial Crew Program and focusing on deep space exploration through the Next Space Technologies for Exploration Partnerships, or NextSTEP. "I look at our annual budget, and I see the diversity of activities and aspirations at a gathering like this," he said. "… It's clear that we have to look at our work beyond the traditional ways of doing things. This very much is an 'and' not an 'or.' It can't be NASA or industry. It can't be big companies or small companies. It's got to be both." Government expenditures made up less than a quarter of a global space economy that was approaching $350 billion in 2016, said Carissa Christensen, CEO of Bryce Space and Technology. She said satellite services, including direct-to-home TV, Wi-Fi on planes and navigation products accounted for much of that. Meanwhile, investment in startup space companies has been growing, approaching $3 billion each year for the past few years. "It's unprecedented venture investment," Christensen said. "It's not coming from major institutions and banks and giant corporations. It's coming from investors that fund more entrepreneurial businesses." She said 2015 and 2016 saw several mega-deals, including a $1 billion investment by Google and Fidelity Investments in SpaceX. Roughly the same amount of money was invested both years, although there weren't as many deals in 2016. That could mean investors are putting more money into new ventures or putting additional money into maturing ones. Mega-deals haven't been as prominent this year, she said, but venture capital investment has been consistent. Christensen cited three reasons for the uptick in venture capital. The first is cost. Small electronics developed for smartphones and computers have made it more affordable to create small satellites. Venture capitalists are willing to invest tens or hundreds of millions of dollars rather than the several billion that historically was required. The second reason is the potential for massive financial returns. New insights can be sold to businesses and consumers when global satellite imagery is combined with advanced computing power and data analytic tools, such as machine learning. Finally, Christensen said, investors are encouraged that billionaires and business superstars, like Amazon and Blue Origin's Jeff Bezos or Tesla and SpaceX's Elon Musk, are investing their time and money in space ventures. Moving forward, she said, companies will need to start showing profits - or be acquired for huge amounts - to show the industry is sustainable. The future of government's role in private space, outside of regulation, was also discussed. Richard DalBello, a vice president for Virgin Galactic, discussed that topic during a panel on commercial space policy. "When it comes to the commercial sector, you have to trust that the marketplace is going to continue to work," he said. "The government's role isn't to make winners. The government's role is to be a smart buyer."